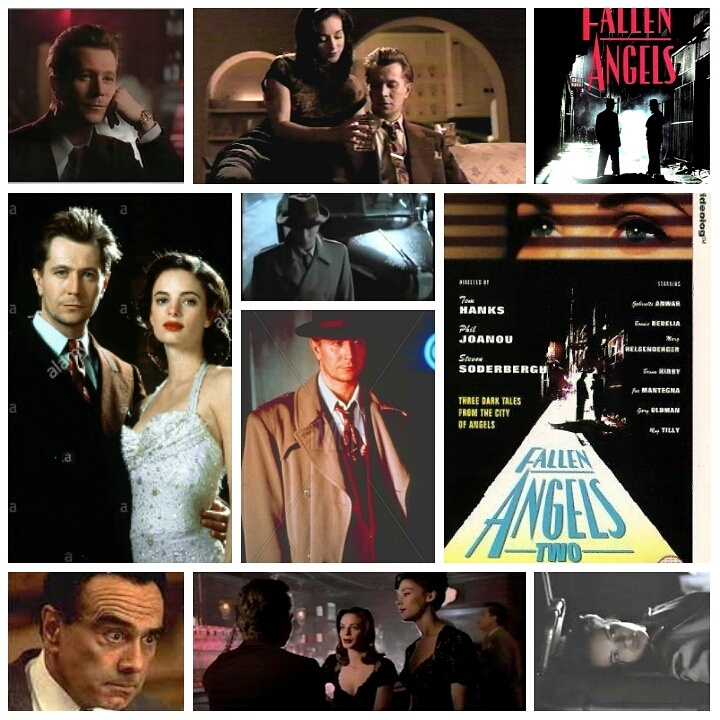 Fallen Angels was a super cool L.A. film noir television series that ran in the 90’s, only never to be heard from again, curiously. It attracted an incredible lineup of directors including Tom Hanks, Alfonso Cuaron, Steven Soderberg, Peter Bogdanovitch, Jonathan Kaplan, John Dahl, Keith Gprdon, Tom Cruise and more, with an even more unbelievable troupe of prolific actors. For whatever sad reason though, it was never really released or marketed well, and has never seen the light of day. Dead End For Delia is the first, and one of the best of the bunch, directed by Phil Joanou, with the lead roles taken by Gary Oldman and Gabrielle Anwar. I’ve always wanted to see the two of them do something together, and funnily enough they share almost no screen time, but having the two occupy space in any project is electric enough. Oldman plays Pat Keilly, a police sergeant who is summoned to the scene of a crime, only to find out that the murder victim is his wife Delia (Anwar). As he is led along a trail of clues as to who her killer might be, he discovers things about her and realizes that he may have never really known his wife, or the person she really was. Oldman does something interesting here; for most of the film his trademark intensity sits at a low boil, lulling us into a false sense of calm and seeming to be one of his more restrained exercises. Then, all of a sudden in the last act he downright explodes and goes on a tirade of fuming emotion that is quite something to see. Makes me wonder if he planned this with his performance, or if he surprised himself with the unexpected outburst. The whole series is solidly star studded, and in addition to Oldman and Anwar we get to see Meg Tilly, Wayne Knight, Paul Guilfoyle, Vondie Curtis Hall and the great Dan Hedaya who works overtime playing at least ten different characters all throughout the show. It’s filmed through a lacy lens, the windows on set always open, the gauzy curtains set unearthly adrift to let in that clammy, humid L.A. breeze that promises secrets you wish you never knew as soon as it brushes against you. Perhaps one day this forgotten show will get a lovely dvd box set. Until then you have to scavenge for fragments over in the scrap yard of youtube. Good luck.